1973 was a significant year. I soloed a plane (March), got my pilot’s license (May), graduated high school (May), bought my first plane (June), and turned 18 (end of June). My first airplane ride was at age 12, in an old V-tail Bonanza, and the next time I was in a plane I was taking flying lessons. During my high school years I had a variety of jobs, including school bus driver, TV/washer/dryer repairman, worker at a cotton gin, and just about anything that would pay a bit. Far and away the thing that captivated me most was working on airplanes, and working as a flagman. Agricultural aviation/aerial application/cropdusting (same job, different decades) isn’t quite like driving a tractor. When you have an elderly John Deere attached to a disc, you can clearly see the difference between the light brown dry crust on the ground, with a salting of green weeds and grass on the surface. Once the disc passes, the dark brown moist soil makes it easy to see the line between the work done, and the work you have yet to do. In the plane, there is no clear delineation between “done” and “yet to do”. With the expense of the chemical, and the potential toxicity to crops, it’s very important to not “overspray”, covering the same area twice, and important to not have gaps, which leave streaks in the field. As time went by, the difficulty and expense of keeping “flag men” up and operational rose. The ag aviation industry went to the “automatic flagman”, which was a dispenser mounted on the wing that would release a 3 foot or so length of what appeared to be toilet paper. A button on the control stick would activate a solenoid which would release the “flag”, and allow the pilot to not need ground crew. At least that was the theory. College, medical school, and residency interfered with my aviation career, and I left agricultural aviation for a number of years. In the past few years, ag aviation and I have become reacquainted. During the interval, GPS has come on the scene, and just as GPS has revolutionized navigation, instrument approaches, and maps, it changed how ag aviators worked. 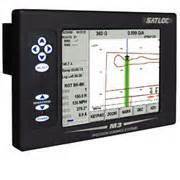 Satloc is a trade name, that often is used generically to describe a system that consists of a GPS receiver, a “lightbar”, and a keypad in the cockpit. The lightbar gives left/right guidance, and is adjustable via the keypad to allow greater or lesser sensitivity. It is a remarkable piece of equipment, that can mark, and record your flight path down to 1 foot intervals. The memory can be downloaded, and preserved on computer, printed on paper, and used as a record of work done. 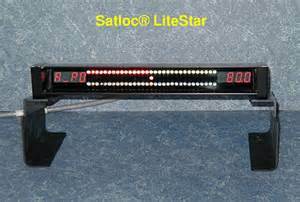 This is a picture of a Satloc light bar. The lights across the top (left/right) are the indicator of how far left or right of your desired path you are. The bottom row of lights indicates the angle at which you are to the path. (in other words, you can be left of course, on a continued left deviation, or left of course, with an angle to the right of course….which means you will correct eventually). The numbers on the left and right are typically set up to indicate swath number, and feet to the left or right of course. The keypad is located in the cockpit. As is true with most computer systems, the keystroke sequence is key (pun intended). 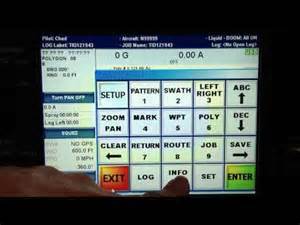 Before a job is started, “clear pattern enter” removes the last setup, and will allow you to set your “line”. As you enter the field, you “mark” your “A” position with a button on the control stick, fly the length of the field and then mark your “B” position. That sets a “boundary” line on one edge of the field. You then can work off that line “back to back” (the most common, the way we did it back in the 70s, where you sequentially turn, line back up, and incrementally work your way across the field). “Racetrack” is also used, as is “squeeze”, “quick racetrack” and other variations that allow different field types to be worked. The cockpit display can show where you have sprayed (note the green above), and will also show areas that you missed, areas of overspray, and can be preserved. It’s very simple. Load, fly to the field, don’t hit any antennas/wires/trees, nor fly over Granny Jones who just hates cropdusters, program your field, plan your pattern, drop into the field hit the button for the A point, spray on at the field edge, hit the button at the B point, spray off, hit the button to advance the swath number, start your turn, watch the light bar to make sure you roll out close to the line, make corrections to keep the light bar centered, spray on at the field edge, spray off at the opposite end, don’t hit the tree, don’t hit the irrigation stand pipe, don’t hit the wire. Advance the swatch, turn the opposite direction, spray on at the fields’ edge, look to make sure that the nozzles are all spraying evenly (don’t want streaking), spray off, turn advance swath. 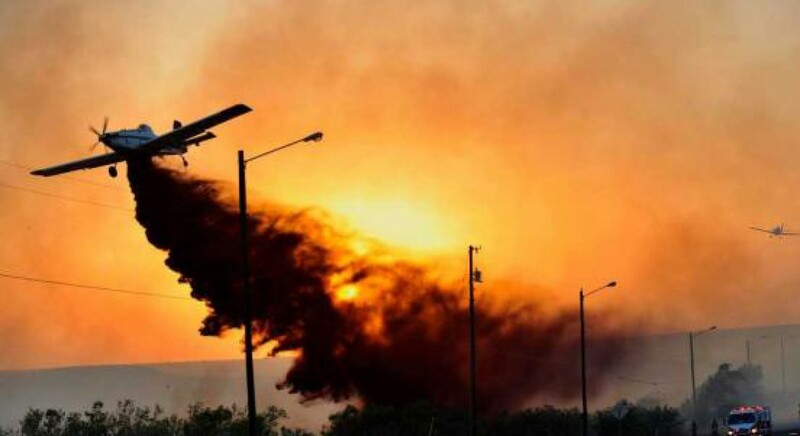 Keep an eye on your fuel, watch the Turbine Inlet temperature, as you don’t want that expensive turbine to be too hot, watch for the amount of chemical and the acreage that you’re spraying, since you don’t want to be putting out too much or too little. It’s really very simple. Flying the light bar is often compared to flying a localizer. For those of you who aren’t pilots, the localizer is an instrument that provides left/right guidance with a needle that allows an instrument approach. It provides a progressively more sensitive indication as you approach the runway, so that by a quarter mile out or so, at an altitude of 400-500 feet it becomes so sensitive that it’s very difficult to follow. The Satloc lights can be changed in sensitivity, but they are usually in 1-2 foot increments. They do not vary with altitude (I’ve used Satloc to navigate across country….the manual says not authorized for that, but if I can put a latitude/longitude in it, and follow it….) Of course, when flying ag you’re at a 8-10 foot altitude. Sometime between the era of flagmen, when I left agricultural aviation, and the era of GPS and Satloc, when I returned, the whole world changed. It took me a while, and the patience of some good men, to get me up to speed on following the light bar. Downloading my GPS tracks, and laughing, they would point out what appeared to be a very slow kindergartener learning to finger paint. Over some time it improved. I’ve now actually received a paycheck for “painting a field” using Satloc.